Earn $67.00 in Rewards credit (6700 points) What's This? 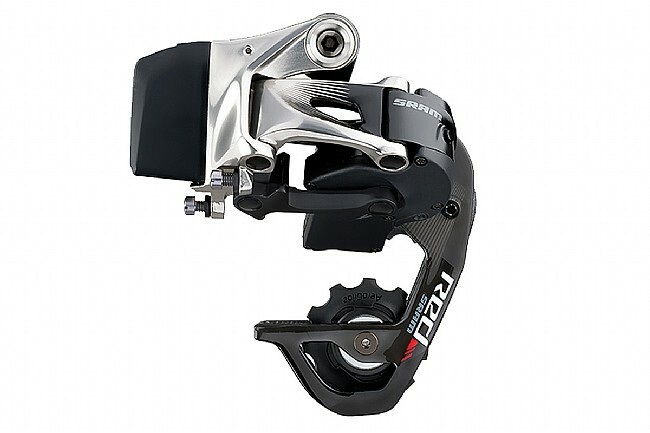 The convenience of wireless shifting and the necessity of having the right gear range come together in the SRAM Red eTap WiFLi Rear Derailleur. Its medium-length cage makes it compatible with cassettes with up at 32-tooth large cog so no hill goes unclimbed. Mechanically, all the SRAM Red perks are still there, including a carbon cage and ever smooth ceramic bearings. It pairs up wirelessly to SRAM eTap shifters using dedicated AIREA™ connectivity to give you a crisp, precise shifting with no cables involved.